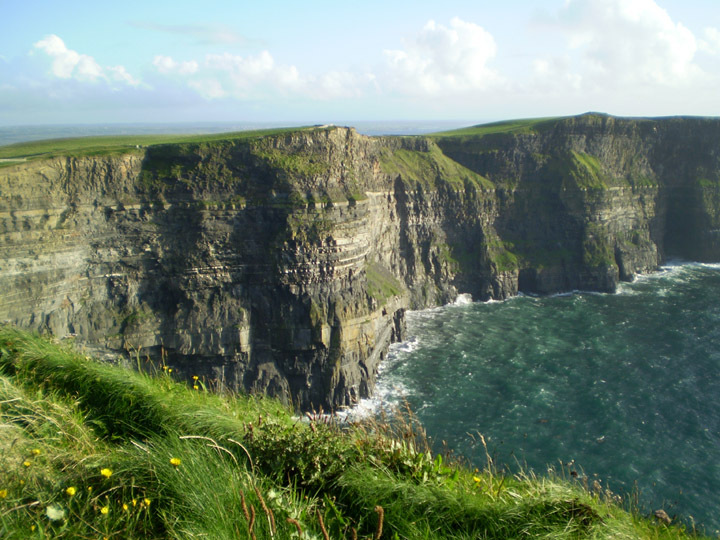 Located in County Clare, along the central western coast of Ireland, the treacherous Cliffs of Moher get hit with the full force of the Atlantic winds. The shoreline is rocky, hazardous, but tough and rigid. Bright green grass flourishes and gulls still play in the powerful winds. There is a little romantic stone building along the edge of the cliffs called O’Brien Castle. This was actually built in 1835 as a shelter and observation point and became popular with Victorian ladies and gentlemen enjoying a day in the country. In the traditional tourist sense there isn’t a lot “to do” at the Cliffs. Visitors can wander along some small trails to get different views of the cliffs. For safety reasons, there are very clear limits on how close to the edge you can go. But really, when the land, sea, and sky look like this, what more would you want to do beside walk around and take it all in? 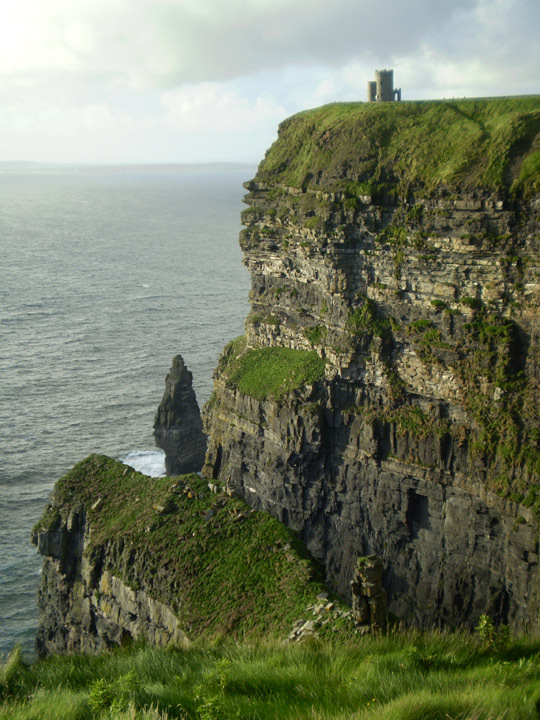 Opening hours, directions, and visitor’s information about the Cliffs of Moher can be found here. 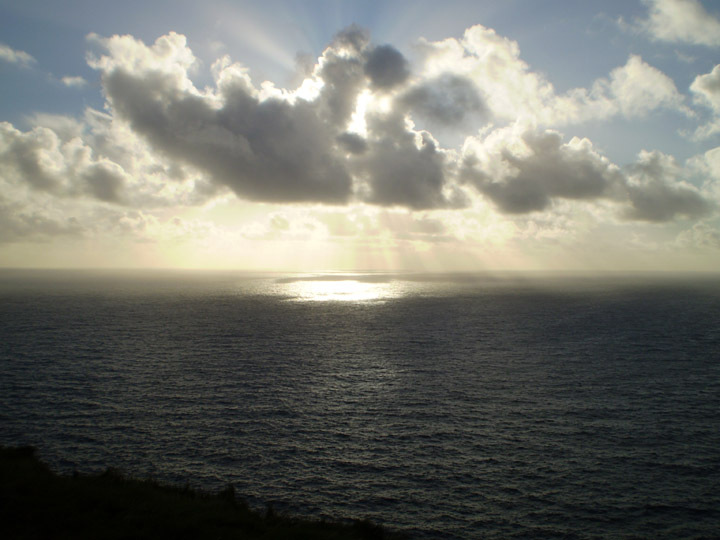 Do you know the poem by Wallace Stevens called The Cliffs of Moher? It’s beautiful. I hadn’t heard that poem before but it’s very lovely. There’s certainly a pervasive sense of memory in Ireland and I can hear that in this poem. 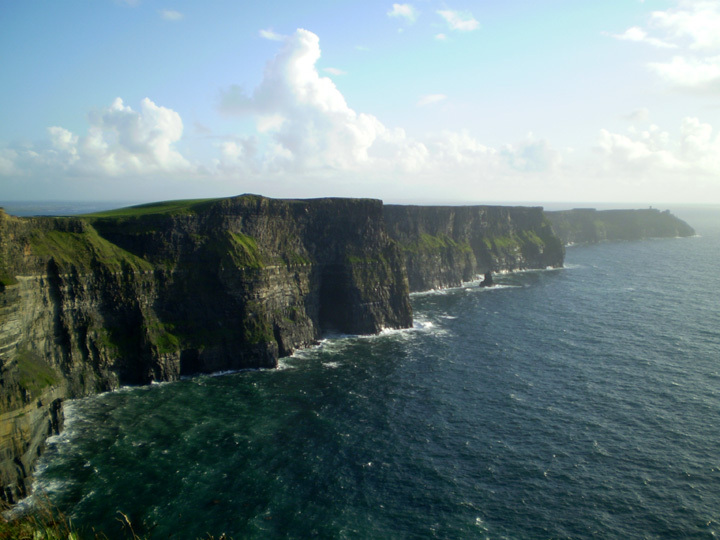 Cliffs of Moher is one of the most beautiful place that I saw, while living in Ireland.